The company has low-priced smaller packs of Harpic and Dettol soap aimed at the rural population (Photo: REUTERS/Stephen Hird/File Photo). PRIME minister Narendra Modi’s flagship programme of Swachch Bharat, or clean India, boosted the sale of Harpic, a Reckitt Benckiser brand. Results announced by the British company last month showed that sales of the toilet cleaner increased as the plan to build toilets launched by the Indian leader gathered momentum. Under a $20 billion Swachh Bharat campaign, India aims to build 111 million toilets to stop open defecation in five years. 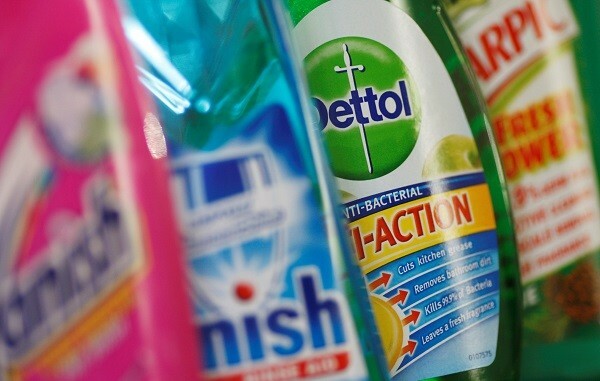 The campaign has led to increased sales of sanitaryware and related products, including Reckitt Benckiser’s Harpic, Dettol and Air Wick. Its hygiene and home business also witnessed a tenfold rise in e-commerce growth in India during the past 24 months, and Reckitt Benckiser said it would focus on digital sales in the country. RB has already taken on 1,000 villages under a plan to impart hygiene education. It has also written school curriculums to promote good hygiene practices, according to the company. The company has low-priced smaller packs of Harpic and Dettol soap aimed at the rural population. RB runs a five-year campaign titled “Dettol Banega Swachh India” (Dettol will make clean India) and its India unit is also committed to spending Rs 1 bn which aims to “drive behaviour change towards hand hygiene and improve sanitation facilities” by working with partner organisations. Reports say a nationwide campaign and construction of toilets in India is likely to encourage the use of toilet-related products and services that’s estimated to double to $62 billion by 2021. 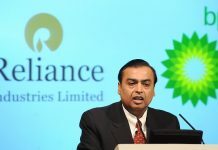 RB India has witnessed a 1.8 per cent rise in revenue year-on-year basis, to Rs 58.1bn in 2017-18, according to data from the office of the registrar of companies. Announcing their results last Monday (18), RB revealed a number of new products initiatives for the first half of 2019 for their international market. Dettol multi-surface wipes made from 100 per cent biodegradable plant fibres, a relaunch of Dettol personal wash and soap and an updated Mortein (an insect killer) for the Indian market are listed as new products. RB is set to also get a new chief executive officer. Chairman Chris Sinclair said the company is looking for a replacement for outgoing CEO Rakesh Kapoor. “We are also under way in the search for a successor to Rakesh, whether internal or external, who will be a fit with the distinctive culture of RB…,” said Sinclair. Rob de Groot, president of RB’s hygiene and home business, said the company would step up its use of “targeted” advertising strategies in emerging markets, including India. According to de Groot, the use of targeted advertising would help RB compete with some of its rivals who have a bigger local market share. Emerging markets account for 28 per cent of the RB’s hygiene and home business division. RB reported a nine per cent increase in profits before tax to £2.7 bn last year. Revenue jumped 10 per cent to £12.6bn.